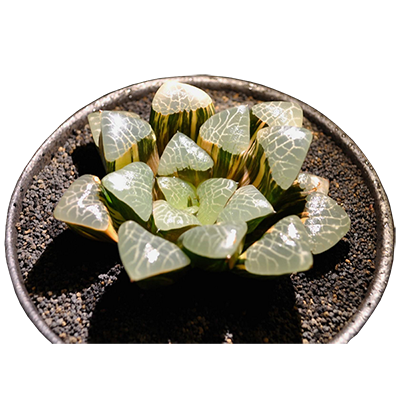 This correcta has round & short leaves, dark green skin, also has clear net line on windows. Variegated gene shows beautiful color change in every season. Growing slow, offer offset which without roots or has a little.